When we left Hokkaido, we flew south again to Honshu, Japan’s main island. We immediately were picked up by our chartered van and we drove almost four hours north to the Japanese Alps. We spent the next four nights in a traditional wooden Japanese Guest House dating back to the early-1800’s when the Samurai warriors were still a powerful class in Japan. There were several onsen (hot springs) at our guest house. Several were indoor, and a few were outdoor. 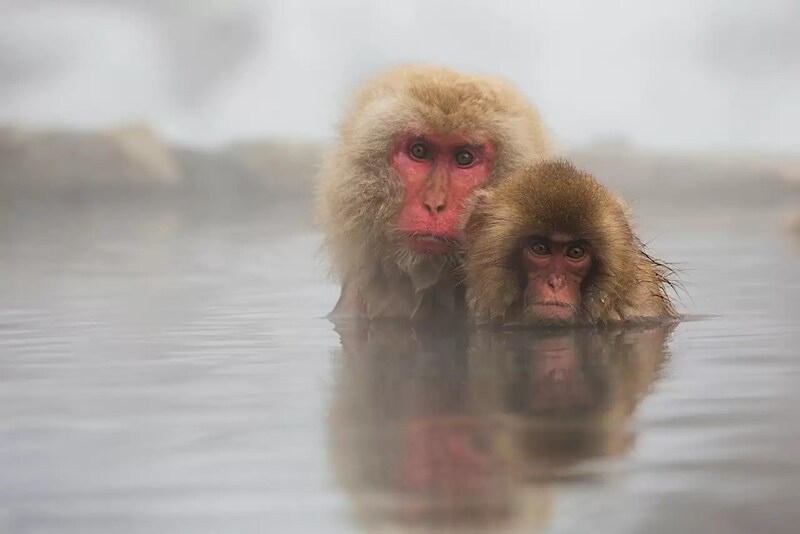 None of us were adventurous (or tolerant) enough to venture into the outdoor onsen because we would have had to share it with the passing residents in this mountainous area, the Japanese Snow Monkeys. 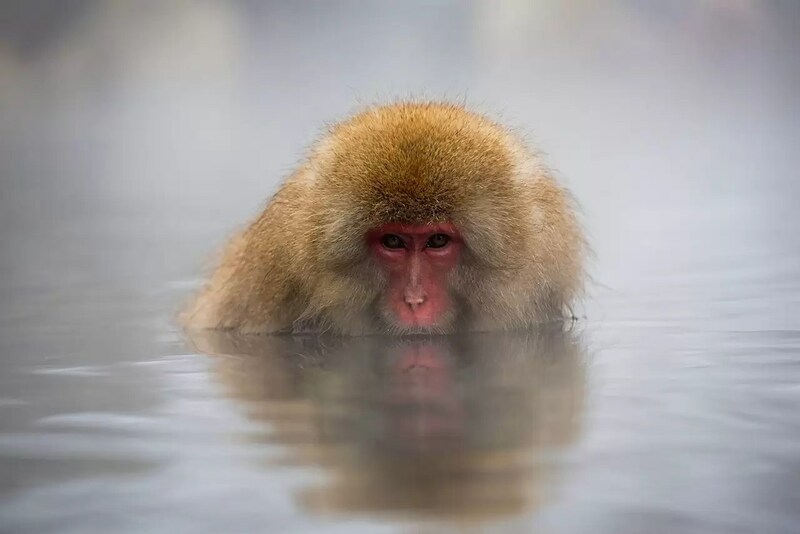 Some would stop by (on their way to the main hot spring) for just a brief swim or bath…. 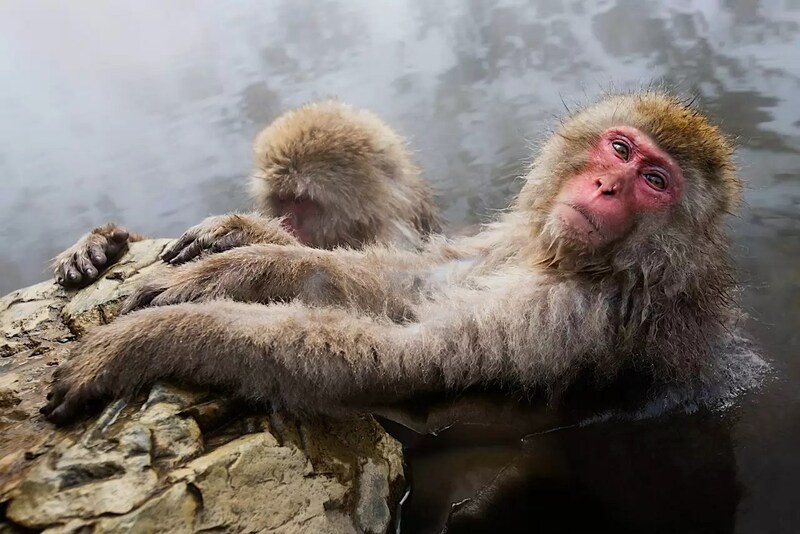 Keeping in mind that what goes in, must come out – we decided to personally use the onsens that were a bit more protected inside if you catch my meaning! 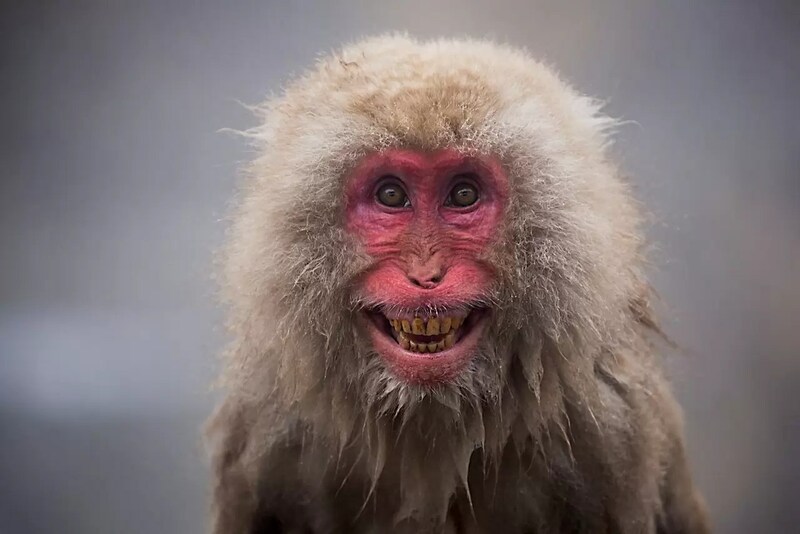 We had a 5 minute walk to get inside the park where the real monkey business begins….like grooming…. …or taking a snooze in the hot, steamy water…. …or going down to the river for a change of scenery and temperature…. …sharing some down time with Mom…. …or just to have a warm therapeutic soak! 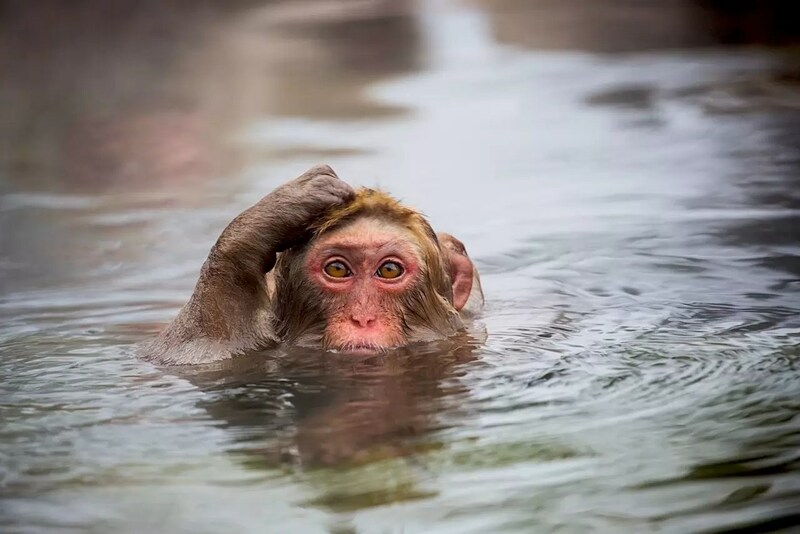 The monkeys are always busy. They are expressive and so much fun to watch and photograph. 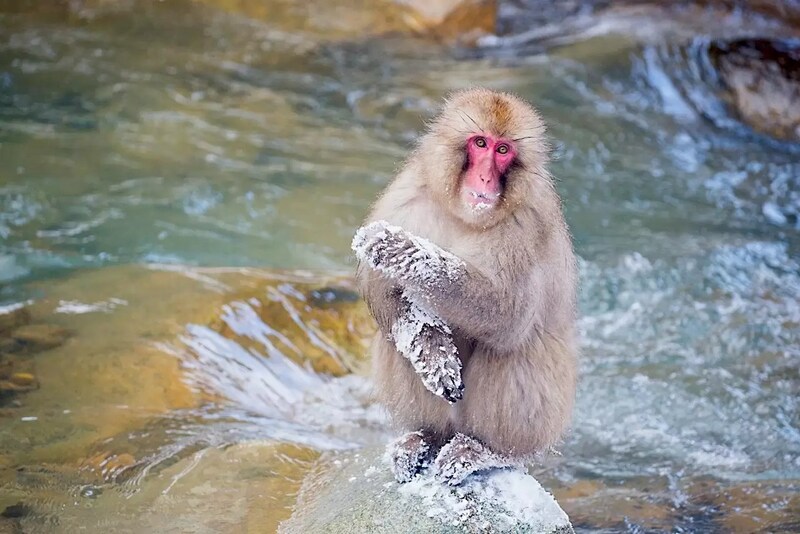 The Japanese Snow Monkeys or macaques are an Old World monkey species. They get their name because they live in a habitat that is covered with snow for many months during the year. 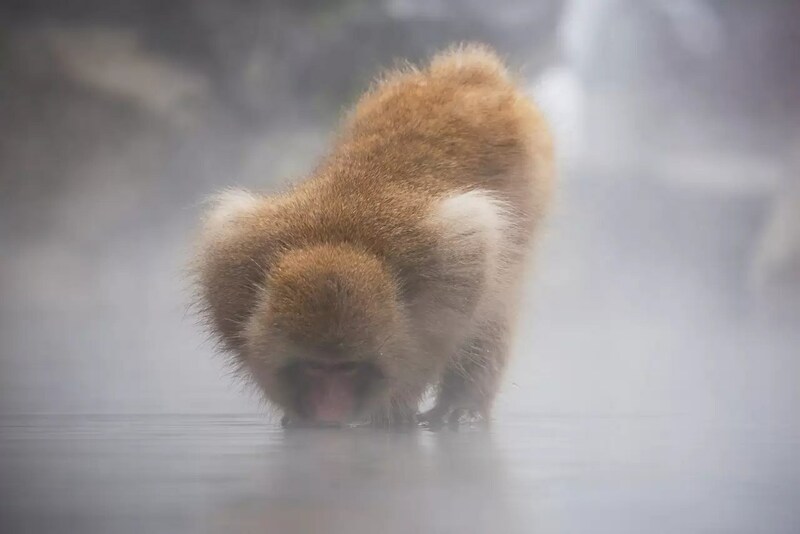 They are the most northern-living non-human primate in the world. They are not large monkeys. The average height of males and females ranges between 20 and 22.5 inches. They have extremely thick coats with an undercoat and the coat thickness increases as temperatures drop. They can live in temperatures as low as -20º C or -5º F. They are great swimmers and are semiterrestial with the females spending more time in trees than the males. 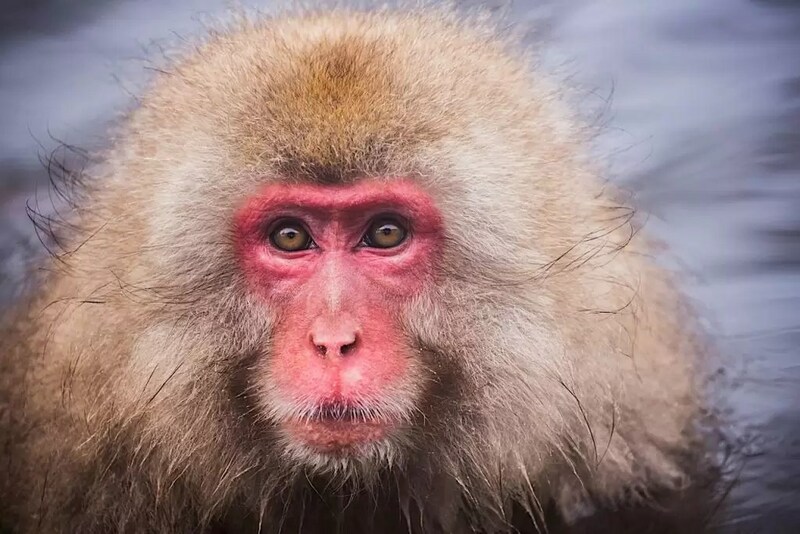 Like other monkeys, they maintain social relationships through grooming. This is a very important part of “keeping the peace” in a troop or even between different troops. 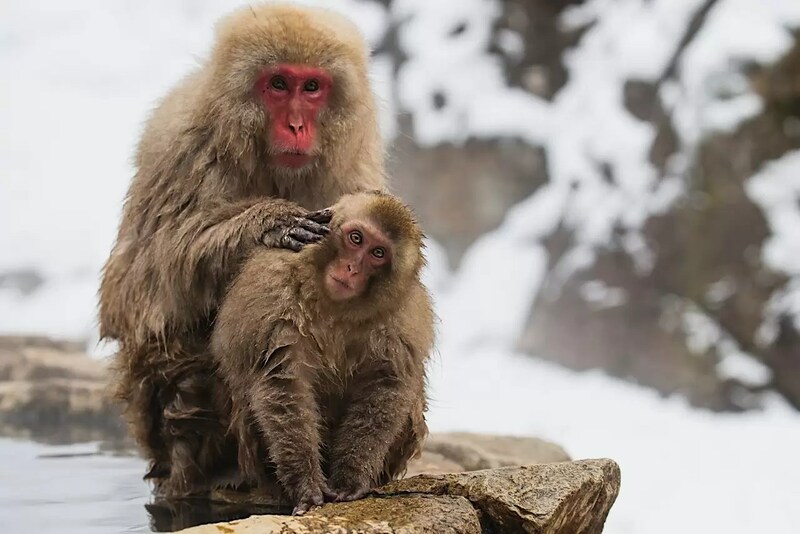 Mothers pass grooming techniques on to their young! There is so much going on in this hot spring while we are there. The steam makes for interesting images. I am now red in the face (embarrassed) to say that I didn’t think I would enjoy this trip very much! We couldn’t get enough of these guys! They were literally barrels of fun and laughs – their behavior and antics kept smiles on each and every face. What a fantastic ending to an amazing trip. 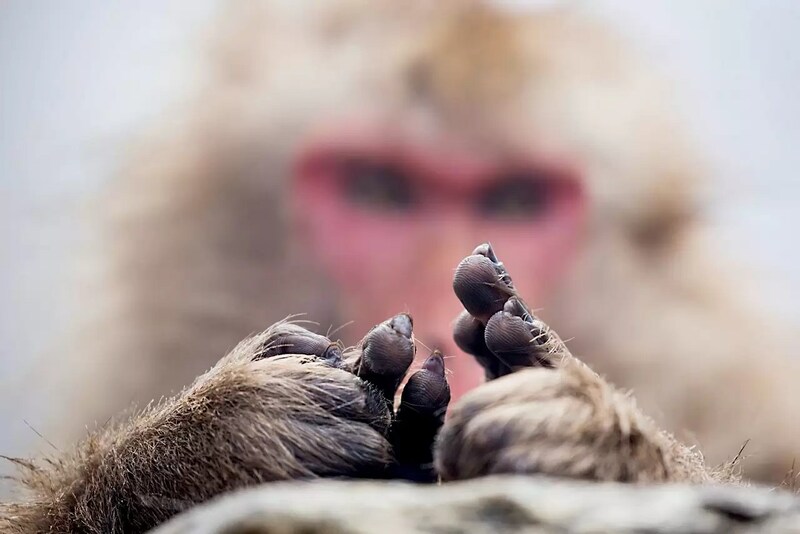 The people of Japan, the food, the natural beauty, the culture, and the wildlife were beyond all expectations. Do you want to know how I feel about our adventure in Japan!